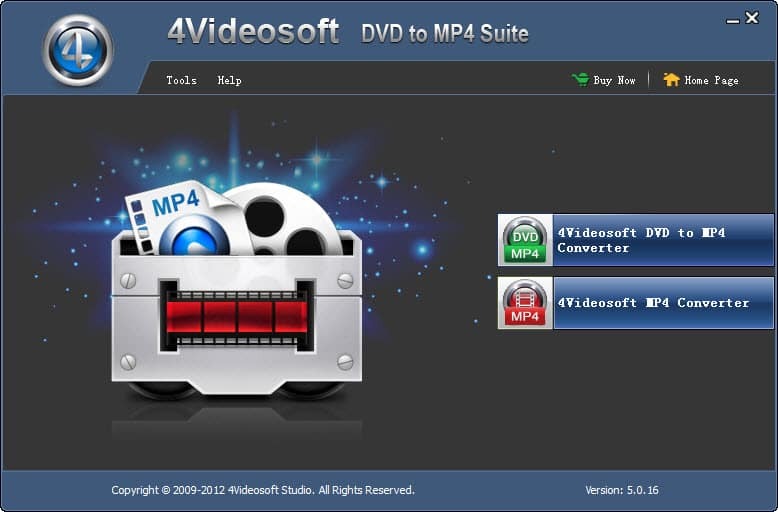 4Videoosft DVD to MP4 Suite is the combination of DVD to MP4 Converter and MP4 Converter. With it, you can easily convert any DVD and video file to the video MP4 and audio formats compatible with any MP4 player. More, it has the customized editing functions, such as pick you wanted segment, subtitle, watermark, crop DVD/video play region, merge selected chapters/titles into one file, customize parameter settings, etc. With this DVD to MP4 Converter, you can easily convert DVD to MP4 and other most popular video and audio formats, like AVI, MOV, MP3, AAC, etc. You also can use it to convert all regular video formats to MP4 and other video formats for MP4 players. Plus, you can use it to extract dialogue or background music from DVD/video files and convert to MP3/MP2/WAV audio file. It highly supports many popular MP4 players like iPod, iPhone 4S, Apple TV, PSP, BlackBerry, etc. This DVD to MP4 Suite allows you to adjust the video Brightness, Contrast, Saturation, Hue and Volume, and even check Deinterlacing to upgrade your video quality. This DVD to MP4 Suite has the trim function, which helps you get any time-length video or audio clips from your video sources. With this DVD to MP4 Suite, you can adjust the size of video play region and the output aspect ratio. You can use this MP4 software to personalize your video by adding text/image watermark, and merge your selected DVD chapters/titles or video sources into one file to enjoy successively. Select your needed audio track and subtitle for output video. All the detailed video and audio settings are provided for you to choose, such as Video Encoder, Resolution, Frame Rate, Video Bitrate, Audio Encoder, Sample Rate, Channels, Audio Bitrate.